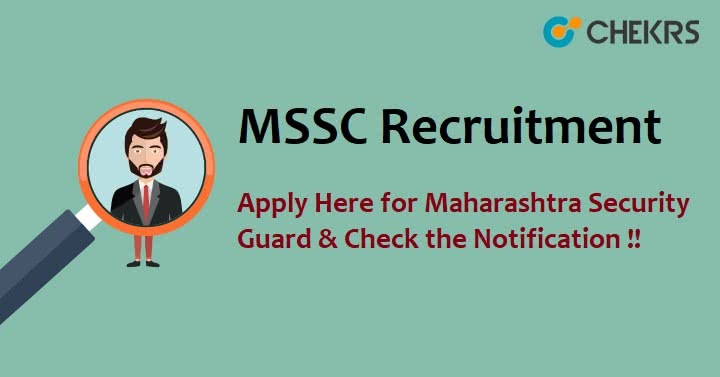 MSSC Recruitment 2018: Maharashtra State Security Corporation has brought out a good news for all the job seeking candidates in the form of new 1500 vacancies for the posts of Security Guard (Both Male & Female). The authorities have already issued the MSSC Security Guard Vacancy Notification which you can check on the website of MSSC. The candidates who are interested in the available 12th Pass Jobs can apply before the due date. You need to ensure your eligibility for the posts such as qualification and age etc. If you find yourself eligible then follow the given steps and apply for the MSSC Security Guard Vacancy. Firstly, visit the official web portal of MSSC. Then, go to the Recruitment tab available on the home screen. Now, click on the link for MSSC Online Application Form. Complete the registration step and then logon to the site. Remarks: Read the whole notification to get more authenticate information regarding MSSC Recruitment 2018 and ask your related queries in the comment box.